Using a wide variety of previously unavailable sources, Hong Yung Lee offers a theoretical and historical perspective on China's ruling elite, examining their politics and the bureaucratic system in which they participate. 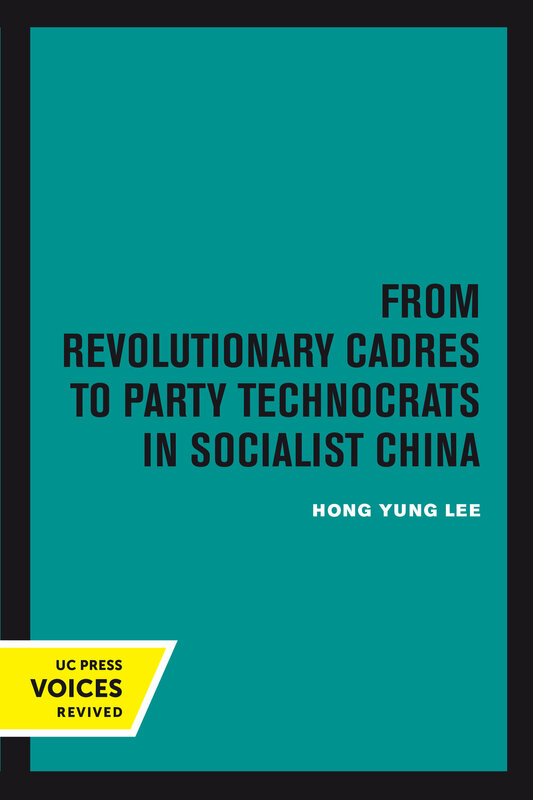 He traces the evolution of these cadres from the guerrilla fighters who first joined the communist movement and founded the new regime in 1949 to the technocratic specialists who wield power today. In the revolution, communist leaders built a peasant-based party organization whose members were largely recruited from uneducated poor peasants and hired laborers. Even after they became the founders of a new regime, their rural orientation and revolutionary experiences continued to affect the political process. Lee shows how the requirements of modernization compelled the state to replace the revolutionary cadres with bureaucratic technocrats. Selected from the postliberation generation, the new leaders are more committed to problem-solving than to socialism. Despite uncertainties in the immediate future, this elite transformation signifies an end to modern China's revolutionary era. Lee argues that it seems only a matter of time before China will have a bureaucratic-authoritarian regime led by technocrats possessing a managerial perspective and a pragmatic economic orientation. Hong Yung Lee was Professor Emeritus of Political Science at the University of California, Berkeley, and author of The Politics of the Chinese Cultural Revolution.